Yes, I know it looks like I've covered by porridge in black pepper and honey but honestly that's not what it is at all! 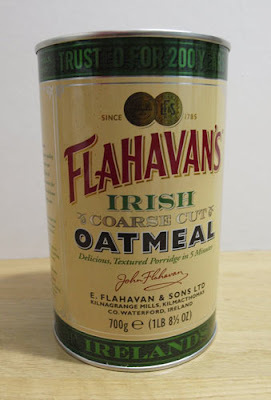 I told you about the Flahavan's Irish Coarse Cut Oatmeal in my Wartime Kitchen post, but because Chia Seeds and Orchard Syrup wouldn't have been available during WW2, I couldn't include them in my post. 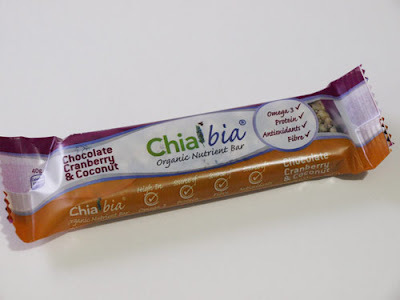 I don’t know if you have come across Chia before but it is a tiny seed found in flowers descended from the mint family in Mexico and Central America, has stormed onto the UK market as the most super of super foods, thanks to innovative Irish producers Chia Bia who are launching a range of Chia products including Whole Chia Seed and a range of Chia Nutrient Bars. Chia is not only high in protein, Fibre and Antioxidants but is also the highest plant source of OMEGA 3 on the planet. Known as the “Running Food”, Chia’s most common use (as a high-energy endurance food) has been recorded as far back as the ancient Aztecs. Previously it was used to treat wounds, colds and sore throats, upset stomachs, body odours, prostate problems, and constipation. Despite being used so many years ago it isn’t until recently that we have seen a renaissance of Chia due to its health benefits. 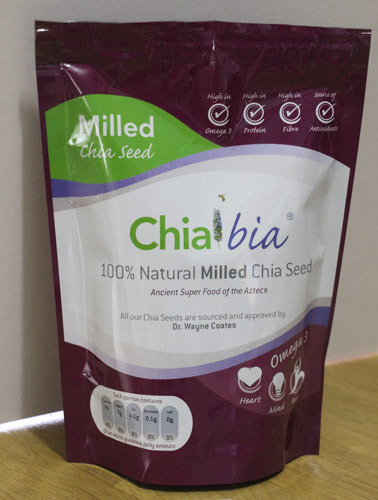 Chia Bia supply both Milled and Whole Chia seed packs. With a write up like that the question is...what does it taste like? I really enjoyed the Chiabia bar, it's an organic muesli bar with cranberries, coconut and chia seeds on a whole milk chocolate base. It was quite sweet, but not in an artificial way and the cranberry fruit flavour came through, so I would recommend those. However, I'm not so sure about the Chia Seeds, the flavour is not unpleasant but I'm not sure it adds any flavour it's more about the protein, fibre and antioxidants which are hard to measure in a review. I may try to make my own oaty energy bars and include some of the Chia Seeds in them. 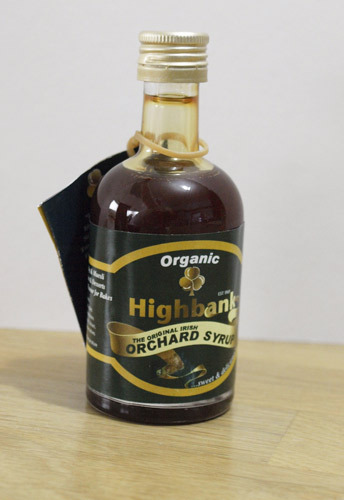 Highbank Orchard Syrup is a sweet, organic syrup made from apples grown on a family farm in Kilkenny, Ireland. “Ireland’s answer to maple syrup" also described as 'vegan honey' this delicious, pouring, organic syrup, is the first of its kind. Totally organic, this unique, healthy product is made from Irish, organic apples from the Highbank Orchard Farm.The syrup really comes alive as a glaze for a Christmas ham, in porridge, or poured over warm pancakes with or without bacon. This was a great addition to the porridge, a lovely sweet apple flavour. I am baking a ham this weekend so will see how it works as a glaze. I was supplied with these products for review, I did not receive money and was not required to give a positive review. All opinions are my own. I know about chia seeds, but the apple syrup is a new one. it looks really nice and I expect was delicious on porridge. I've tried the chia seeds but I have a really really bad allergy to them! I wish I didn't, because they DO fill you up! Karen, I gave you half a chia seed bar at blogcamp, before I discovered that the half I ate gave me a rash! If I could eat them, it would be a fabulous breakfast, meanwhile, I'll stick to plain old porridge! Yes, Chia is a new one to me too. Its health benefits sound fantastic, but not too sure about the taste. I'll keep a look out for the bar you tried.